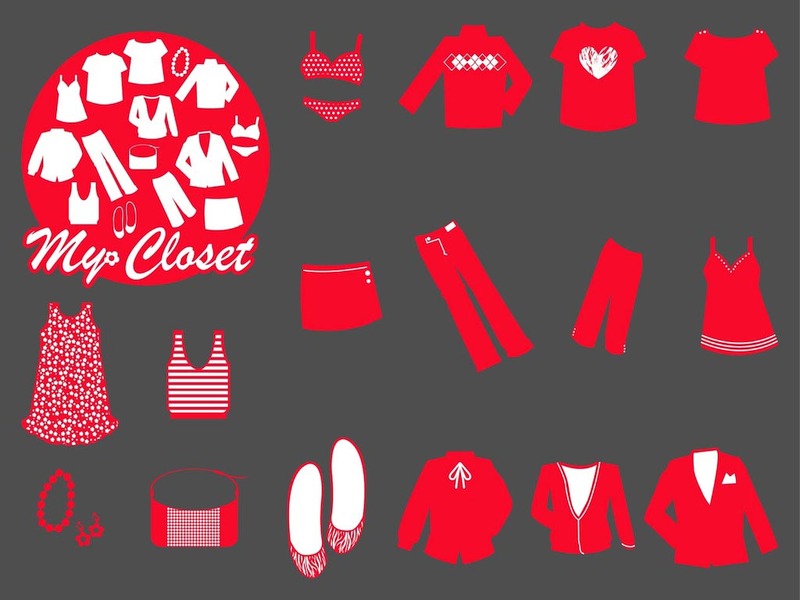 Vector image collection with many different clothing items. Icon with stylized clothes silhouettes places in a circle and text reading “My Closet” decorated with a small flower. Different kinds and styles of clothes and accessories shown. Free vector illustration for all fashion, shopping and style advice projects. Tags: Accessories, Clothing, Fashion, Flower, Girly, Outfit, Shopping, Style.